More than 2,000 women filled the Kansas City Convention Center for the annual WIN for KC Women's Sports Awards Celebration. KANSAS CITY, Mo. 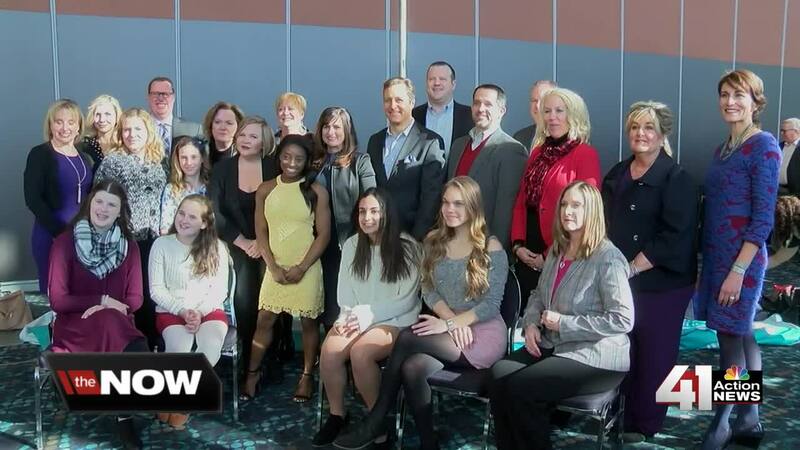 — More than 2,000 women filled the Kansas City Convention Center for the annual WIN for KC Women's Sports Awards Celebration. The day was all about empowerment. WIN for KC works to empower the lives of girls and women through sports and fitness. "Really we focus on providing girls and women the opportunity to play and learn from sports," said Jessica Blubaugh, WIN for KC Director. WIN for KC is a division of the Kansas City Sports Commission and Foundation. Friday, they recognized local female athletes for their accomplishments. ESPN Reporter Holly Rowe served as the emcee. Her message to women in the audience was to put a stop to criticism. "We see women criticized for what they look like, what their body looks like, what their hair looks like, and I think that if we can let young women grow up with being empowered and uplifted instead of criticized so much, I think that would be an important step in making young women feel empowered," said Rowe. Special Guest and Olympic Gold Medalist, Simone Biles encouraged young girls to give sports a try. "I would say to just step out of your comfort zone and really go for it," said Biles. Celebrating 25 years, WIN for KC said their work in women's sports is only beginning. "We are really more important right now then we've ever been. There are still a lot of achievements that we need to make in terms of awareness and support and advocacy for girls and women in sports, so yes the work has been happening for 25 years but we have a long way to go still," said Blubaugh.